You may have spent a lot of time editing your presentation and making sure that you have included all of the information, pictures, and videos that the project requires. Once everything is in place and you have finished all of your proofreading, then you are probably ready to view the presentation. But it may not be immediately obvious how to go about viewing your presentation in Powerpoint Online. 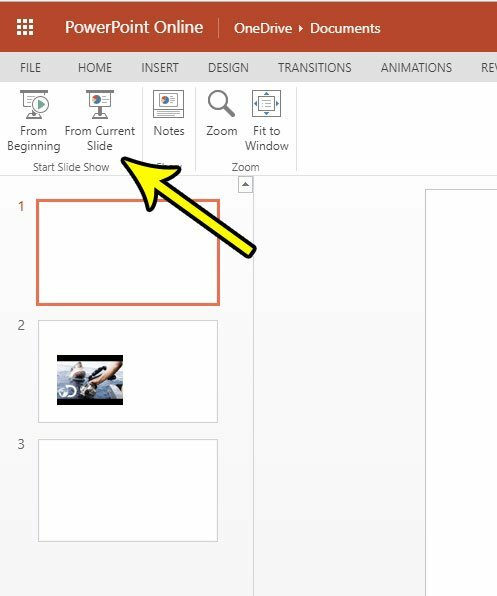 Our tutorial below will show you where to find the controls so that you can watch your Powerpoint Online slideshow in full screen mode on your computer. The steps in this article were performed in the desktop version of Google Chrome, but will work in other desktop Web browsers like Firefox and Internet Explorer. 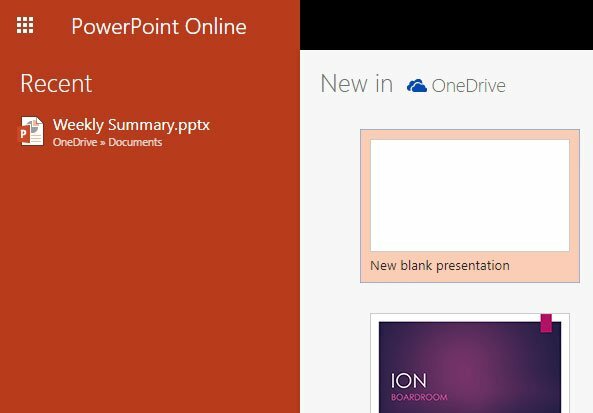 Note that this guide assumes that you already have a Powerpoint presentation in your Powerpoint Online account that you would like to play. 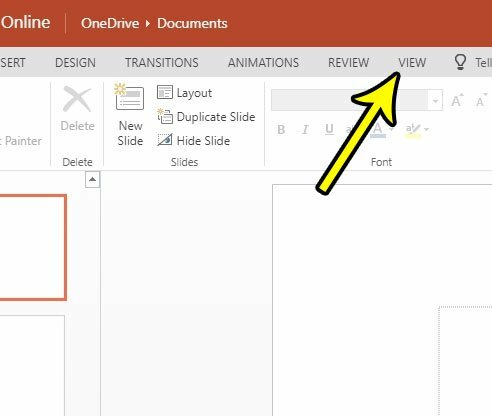 Step 1: Go to Powerpoint Online at https://office.live.com/start/PowerPoint.aspx and sign into your Microsoft Account. Step 2: Open the Powerpoint presentation that you want to play. Note that you may need to click the Edit presentation option at the top of the window, then Edit in browser if the slideshow opens with black borders around it. Step 4: Select the From Beginning or From Current Slide option in the ribbon. Step 5: You can use the arrow keys on your keyboard to navigate between slides. You can exit the presentation by pressing the Esc key on your keyboard. Is the name of your Office Online file not descriptive enough? Find out how to rename a file in an Office Online application if you would like to give it a name that is a bit more descriptive.